In simple terms, a solar hot water system is a ‘hybrid’ water heater. In other words, it’s a hot water system that utilizes two types of energy working together to maintain a water temperature of around 60 Degrees C – Solar energy and some form of purchased energy. This is usually Gas or Electricity. As a general rule of thumb, over a 12 month period a correctly sized solar water should obtain around 80% of its energy requirements from the Sun and around 20% from purchased energy. In some areas, savings can be as high as 90%. What’s better, Solar Hot Water or Solar Electricity? 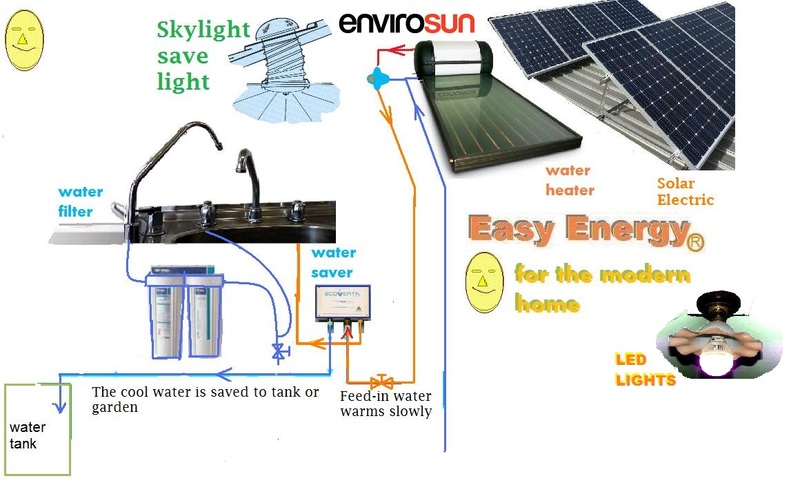 Although they both provide substantial reductions in your purchased energy costs and your household greenhouse gas emissions, a correctly sized solar hot water system, is a far more cost effective way of reducing your household energy costs, as heating water utilizes more energy than any other appliance in your home, except perhaps your heating & cooling. When you install both systems on your home, as many people choose to do, you’ll be reducing your overall energy costs by a substantial amount. This’ll reduce your household running costs and your green house gas emissions.